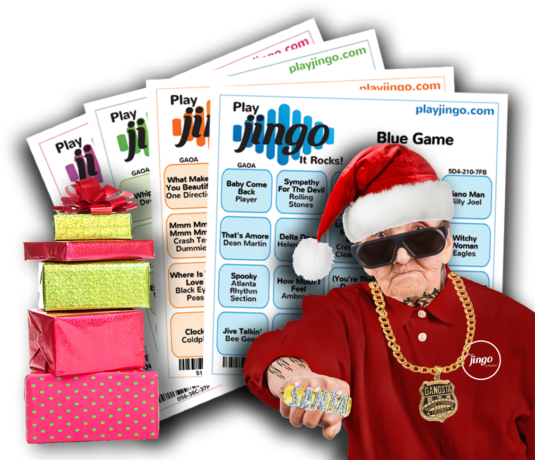 Jingo® is the fun new pub and fundraiser game and the greatest in Christmas Party entertainment!! It’s just like bingo but better because it’s done with music – including all your fav Christmas Carols. Each game pack includes four games that contain a mix of your favourite hits from way back to today with a sprinkle of all the best Christmas carols in each game. We make it easy with the game packs of cards catering for the numbers you need, music, promotional materials, easy to use game controller, winner validation and much more! New pack available weekly for the month of December or order as a one-off for that special Christmas function. Looking for a mix of everything from way back to today? Check out our standard Jingo Game Packs – updated with new music every week these Game Packs will get your venue, event or fundraiser pumping. Four games of Jingo: Blue, Green, Orange and Pink each containing 30, 50, 70 or 100 game cards per game delivered by courier; online delivery of the Jingo Game Controller including music snippets and winning card verification; easy to follow video instructions, demo and test mode. Need more than 100 cards or a customised game pack? 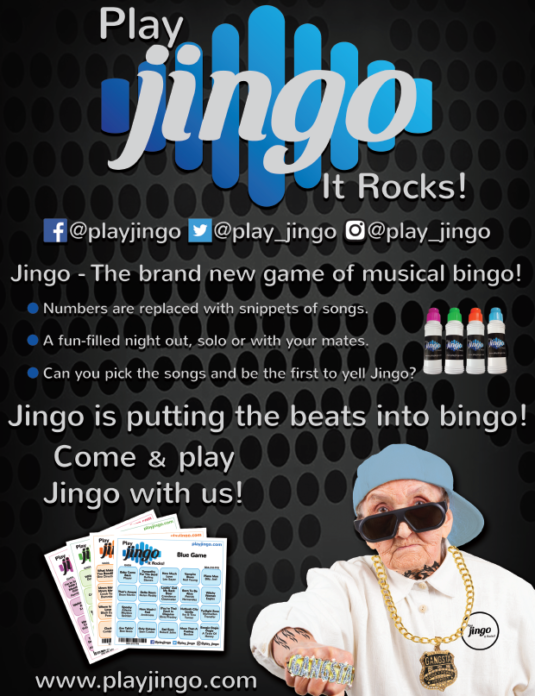 Please contact Nichole on 0800 224 646 or nichole@playjingo.com. Game valid for 14 days from activation. Technical Details: Software with song snippets and controller are delivered online (with playing cards couriered). Requires minimum operating system of Windows 7; minimum memory of 2GB; minimum available storage space of 300MB. Currently not compatible on Mac OS or Linux.